SO most of y'all know from social media, I took a spontaneous trip to London a couple weeks back. Fun fact: my mom was born and raised in London in a little town called Fulham. She met my dad 35 years ago at Wimbledon, the little stud won her over and brought her back to the states. Every year growing up, we'd come to London to visit her side of the family, so the familiarity and nostalgia of this city makes for a special trip every time. My mom actually gave me her old address in Fulham where she grew up, so I took a day to explore her neighborhood and walked the same farmers market she used to go to with her mother every weekend! Hey one of the local farmers gave me free tomato's, #stillgotit. Anyways, point being... London is an incredible city and it will always hold a special place in my heart. I've experienced Big Ben, The London Eye, and all the other cool historical sites more times than I can count... so I was really excited to just spend a week doing everything BUT the tourist spots. 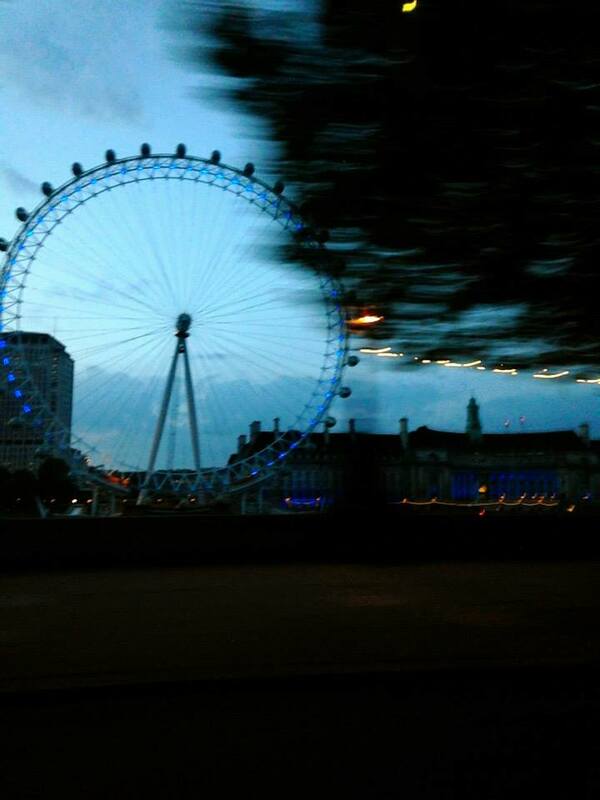 However if you've never been to London, I highly recommend doing it all! I was visiting a long-time friend, Michael, that lives in the beautiful neighborhood of Chelsea. And by beautiful I mean the most STUNNING, charming little town you've ever seen. I personally think Chelsea is the perfect location to base yourself when visiting London! Breakfast/lunch spot we ate at multiple times this week: Farm Girl. Farm Girl is a stylish little restaurant serving healthy, organic, farm-to-table dishes with upscale coffee drinks. Order the berry buckwheat pancakes and/or the simple soft scramble (cooked in coconut oil and served on sourdough bread). Farm Girl is also incredibly insta-worthy. 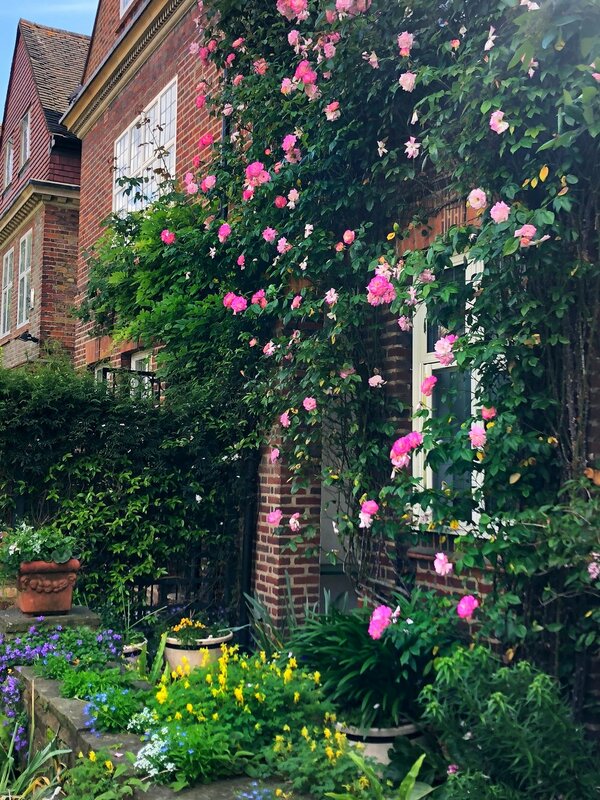 Walking distance from Chelsea is a neighborhood called Notting Hill. 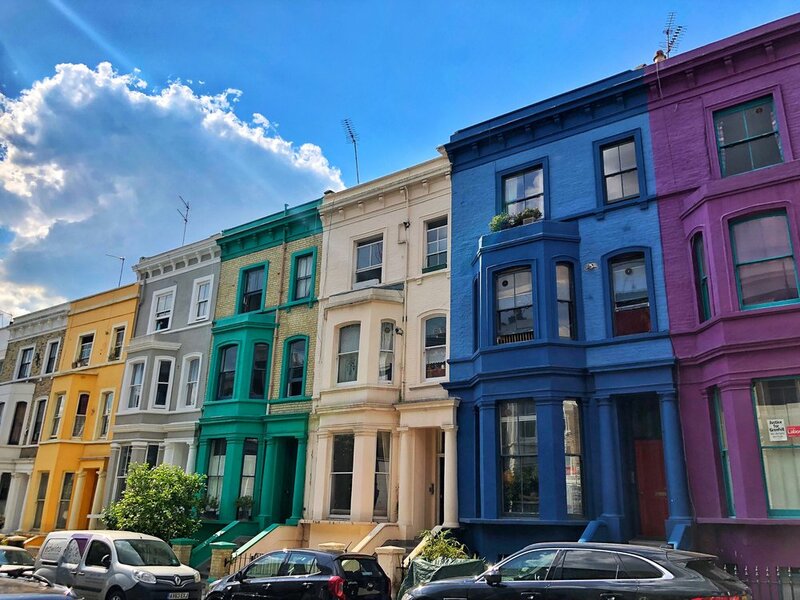 Notting Hill is vibrant, trendy area with popular shopping areas such as Portobello Road... a busy market selling antiques and vintage goodies. Yes this is where the movie "Notting Hill" with Julia Roberts and Hugh Grant took place and you better believe I went to the blue door where Hugh lived in this movie. It's honestly nothing special but if you're a fan of the movie, it's kind of fun to see in person. Notting Hill is one of my favorite neighborhoods to roam around-- and I suggest setting aside a 1/2 a day to explore and take it all in. AND if you pass by "Doughnut Time" that has doughnuts bigger than your face, buy one. It was about a 75 pound, 90 minute train ride outside of London... and totally worth the journey. If you have a day to spare and want to experience a charming little town, go to Bath. Michael lived in Bath for a few years, so he gave me a handful of the best places to go to while he was at a work event in town... including lunch at his favorite little cafe called The Boston Tea Party. Nothing fancy, just really great food (and pastries, my God). I spent the rest of the day walking off my 2 English breakfasts and roaming around by myself (my favorite thing to do abroad). An absolute must if you're in Bath: the infamous Roman Baths. Put "Fudge Kitchen" in your google maps and walk yourself there! They give free samples which we had every intention of only sticking to, yet somehow walked away with 4 massive slabs of fudge. Absolutely incredible! Another MUST while in bath is visit the Thermae Bath Spa, Britains only natural thermal spa. Upon entry you change into your bathing suit and robes, and head upstairs to the open-air rooftop pool. The only place in Britain where you can do it like the Romans, if you will, and bathe in naturally warm, mineral rich water. The views of the city are breathtaking and the water feels incredible. The standard ticket entry (2 hrs) also gives you access to their state of the art spa facilities, such as the Roman steam room, Georgian Steam Room, sauna, Infrared Room, ice chamber and the Celestial relaxation room. We took advantage of it all! Cleansed and refreshed ... we hopped back on our roundtrip train to Chelsea. Back in Chelsea just a few blocks from where we were staying, there's a boutique luxury hotel called "Blake's Hotel" that my mom used to go to back in the day. I did a little research online and knew I had to experience it for myself. This would be the perfect ending to my trip! Kinda like a staycation within my vacation?? Probably excessive, yea... but my goodness it was an experience! 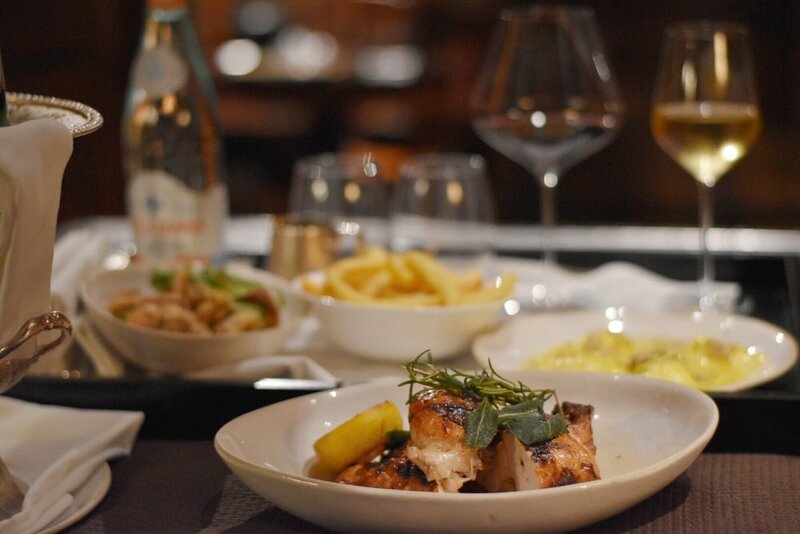 Blakes is conveniently located in the Royal Borough of Kensington and Chelsea in London. The building was converted from a set of Victorian town homes, and was designed by Anouska Hempel herself! Our expectations were high coming into this staycation of ours, but they were far exceeded in every way. From the moment we stepped inside, we were blown away by the interior design and impeccable service. We were even treated to a cocktail at their swanky bar while they got our room situated, and had chilled champagne and a welcome note waiting for us. The room was so beautiful that we couldn't leave! We decided to enjoy dinner and champagne from the comfort of our luxurious room (and lush robes!). I have to say, the truffle ravioli was the best dish I ate while in London. It was a painful goodbye in the morning, but will forever remember our stay here! This was the perfect ending to my trip... a little taste of royalty before heading back home. London- it was a pleasure as always.